A design, print and expert installation facility. 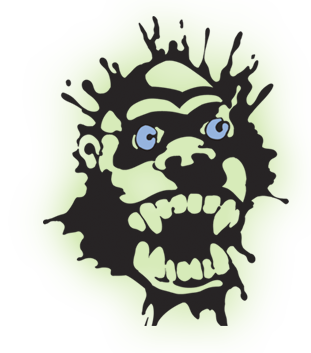 My Gorilla Graphics has more than 32 years of experience with vehicle wraps, making us the premier destination for custom designs in Ohio. We offer competitive pricing for the level of quality you’ll receive. Our team of expert graphic designers and wrap installers will help you create a custom look that is sure to turn heads! Vehicle wraps are brightly colored vinyl decals that are applied to your car, truck, van, bus, or other vehicle — we’ve even wrapped boats! When applied and removed professionally, the decals will not damage your vehicle’s paint job. In fact, a wrap can help protect your vehicle from sun damage, scratches, and dents, helping to preserve its resale value. Who Should Get a Vehicle Wrap? Whether you want to show off your personal style or you want to advertise your business on a fleet of company vehicles, My Gorilla Graphics is a one-stop shop for vehicle wraps. We will help you design your new look, print it, and then install the wrap in our facility. If you’re not in our area, we can ship your wrap to you and help you set up installation with one of the members of our nationwide 3M installation network. 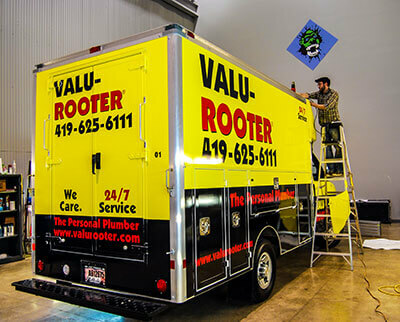 How Can a Vehicle Wrap Help My Business? 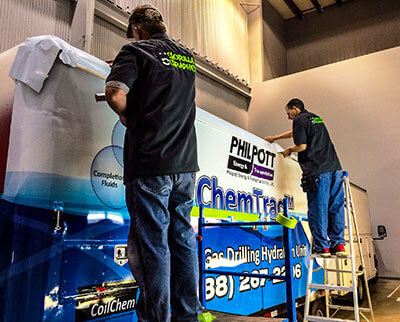 A vehicle wrap basically turns your company car, truck, or van into a mobile billboard! This is a great way to advertise directly to your local market because your potential customers are very likely to be on the road. The average American travels more than 300 miles every 7 days, and about 95 percent of Americans can be reached by ads that target vehicle drivers and passengers. The wrap is a memorable, attention-grabbing way to spread your brand, and it’s non-intrusive unlike TV and radio ads. Each wrap can generate 30,000-70,000 impressions. They’re great for any type of business — from food trucks to church vans. Contact My Gorilla Graphics to learn more today! © 2019, My Gorilla Graphics. All Rights Reserved.